Author of sixty crime novels, set in seven distinct periods of history. His books have been translated into many languages. Domesday Books explore the crimes and misdemeanours surrounding the compilation of Domesday in the late 11th century. Nicholas Bracewell series features an Elizabethan theatre company. Christopher Redmayne mysteries look at the rebuilding of London after the Great Fire of 1666. 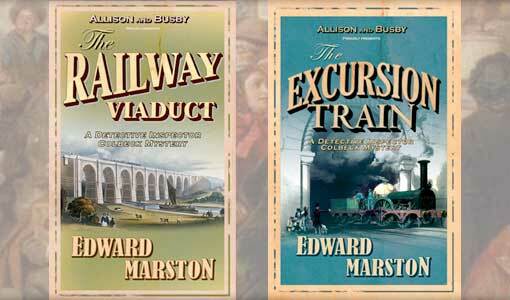 Inspector Colbeck series deals with major crimes committed on Victorian railways. Inspector Marmion, the Home Front Detective, solves major crimes in Britain during the Great War. In Soldier of Fortune, dashing career soldier and ladies' man, Captain Daniel Rawson, distinguishes himself at the battle of Blenheim in 1704. 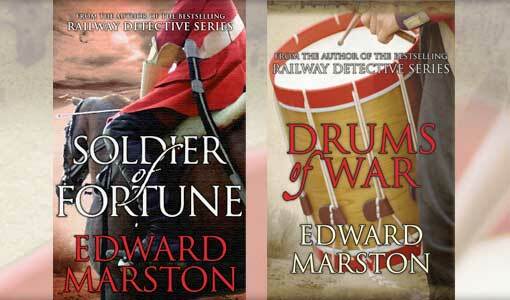 Drums of War takes him on to 1706 where he is given a challenging solo assignment. Bow Street Rivals is a series set immediately after the Battle of Waterloo and follows the adventures of Peter and Paul Skillen, identical twins, who fight against the rising crime wave in London. Their debut, Shadow of the Hangman, was published in January 2015. 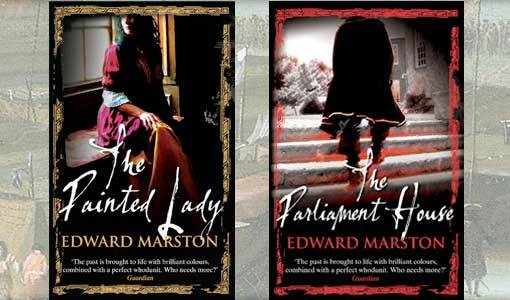 Edward Marston and Judith Cutler, author of twenty crime novels with a contemporary setting, compare techniques for writing about crime in the past and in the present. 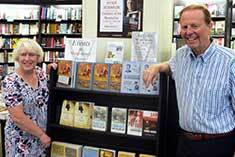 Their talk has been given at several bookshops and writers' groups in the UK and in America. The first eight titles in the Domesday series have been reprinted and are now available from Ostara Publishing.